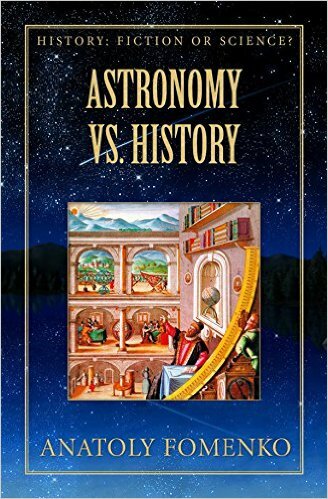 "Astronomy vs History" crowns scores of years of meticulous and extensive research performed by the eminent mathematician Anatoly Fomenko and his colleagues. This research started actually as a unbelievable byproduct of russian-american competition in Moon exploration, when famous NASA scientist Robert Newton discovered a very strange phenomenon in lunar mechanics. This book is also the second volume in "History: Fiction or Science?" e-series, the fundamental oeuvre that exposes and expounds the numerous inveracities of the traditional version of history. The author dissects every historical age and analyses the data from every source imaginable – Greek and Egyptian chronology take a good beating, and it goes rapidly downhill from there. Ticho Brahe, Ptolemy and Copernicus take the blame for creating the legend of a mythical Classical age that never was and misdating mediaeval events by hundreds and thousands of years as very ancient ones. In "Astronomy vs. History" we are reminded of the crucial role of eclipses in verifiyng the dating of major historical events, of stone Zodiacs containg the true dates of such events. Our perception of history begins to change dramatically even before we’re through with "Astronomy vs. History".